The defender has taken his rapid elevation to the national team in his stride. Subhasish Bose lavished huge praise on 'Captain Marvel' Sunil Chhetri for leading the team “by example” on and off the field. Bose was speaking at a media interaction during the ongoing preparatory camp in the Capital today (August 3, 2018). "Sunil-bhai is a true leader. I had the privilege of playing under his captaincy in the club as well as the National Team. Moreover, I was there when he played the iconic 100th International match. He leads the team by example,” Bose said in one breath. His comment did not come much as a surprise as almost everyone, or rather every player of the present generation shares the same sentiment for the most iconic player.Incidentally, it happened to be Chhetri's 34th birthday and the towering defender wished the talismanic striker would continue as long as he can. "We learn so much from Sunil-bhai day every and day out. It's the junior players who get benefitted from sharing the dressing room with someone like him. He praises you, corrects you and motivates you all the time. He's someone who we all look up to,” he stated. 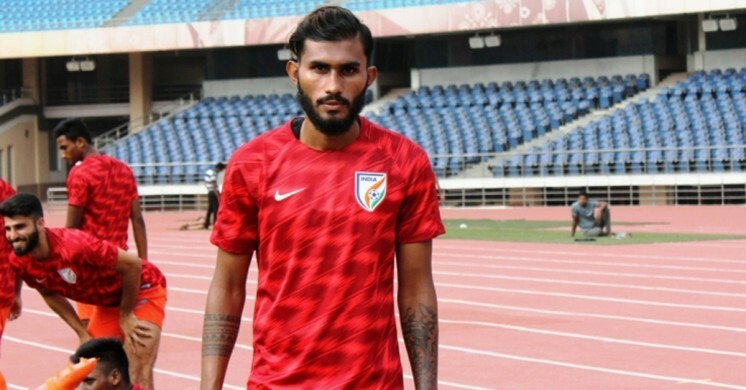 The lanky defender informed that his father aspired to don the National colours too, but eventually, he was able to break the jinx during the Hero Intercontinental Cup last month. "My father is my first football coach and he is the person who encouraged me to take up Football during my childhood. He used to be a player during his heydays and aspired to represent the National side but eventually, he couldn't,” he recollected. “But eventually, I made it possible and now he feels immensely proud and encourages me to push more during the training sessions. He is living his dreams through me,” the 22-year-old defender informed. "He is someone who happens to be my biggest critic also. He analyses my every single movement after a match and gives his opinion on that,” Bose quipped. The squad is undergoing a month-long training camp before appearing in the SAFF Suzuki Cup 2018 in Dhaka next month and Subhasish informed that they will try their level best to retain the trophy. "The practice sessions are going really well and we're ready to give our 100% on the pitch. Looking ahead, the SAFF Championship carries paramount importance for the preparation of the AFC Asian Cup."